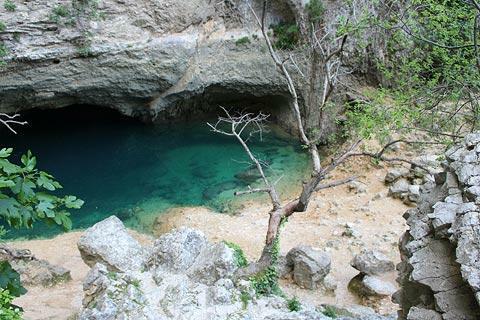 Fontaine-de-Vaucluse is a village east of Gordes in the Vaucluse department of Provence, best known for being at the source of the river Sorgue. The village originally developed on the site of a Roman settlement, and prior to that the area had been inhabited since prehistoric times. It now has a resident population of about 600, but a summertime population rather higher. 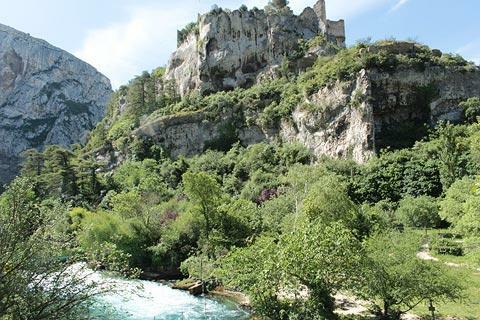 Fontaine-de-Vaucluse is an attractive medieval village surrounded by the dramatic high cliffs of the Vaucluse - this setting plus the emerald green river help to explain why this is one of the most visited villages in Provence. 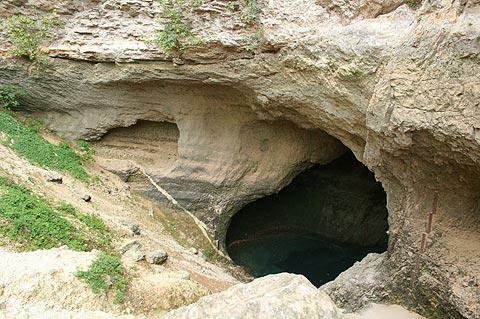 You might naturally assume that the village takes it's name from 'fountain or source in the Vaucluse department' but in fact Vaucluse is called after Vallis Clausa, Latin for 'closed valley', and it is the village that gave its name to the department, not the other way around as you might expect. 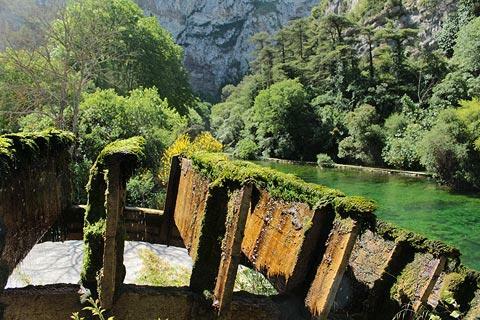 The 'Fontaine-de' was only added to the name of the village in 1946. 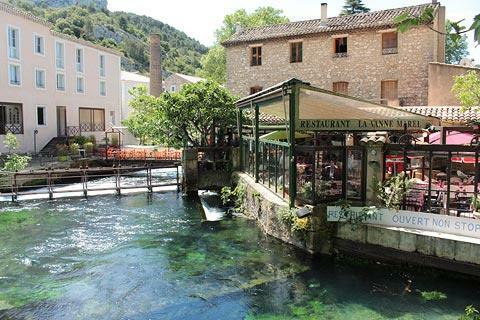 There is limited parking in the centre of Fontaine-de-Vaucluse, but plenty of parking to the east and south of the village on the main roads into the centre. 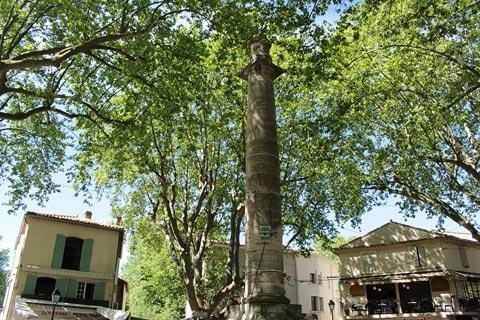 From here you can walk into the village and start exploring at the main square, the Place de la Colonne. 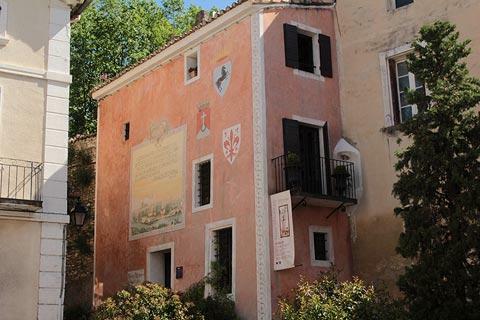 The column in the centre of this square was erected in 1804 to commemorate 500 years since the birth of Petrarch, an important Italian poet of the 14th century who lived in the village for many years. 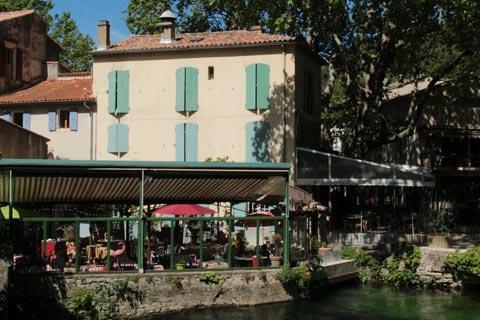 A picturesque part of the Sorgue river also flows next to this square, so it is very pretty. 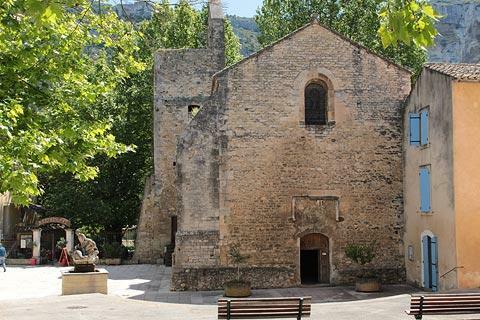 Here in the centre you can also stroll along to the Place de l'Eglise to see the Church of Our Lady and Saint-Veranus, a roman style church built in the 11th century and containing the tomb of Saint-Veranus. 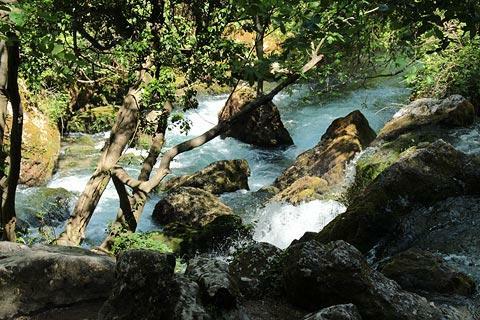 At Fontaine de Vaucluse you can visit the source of the River Sorgue. 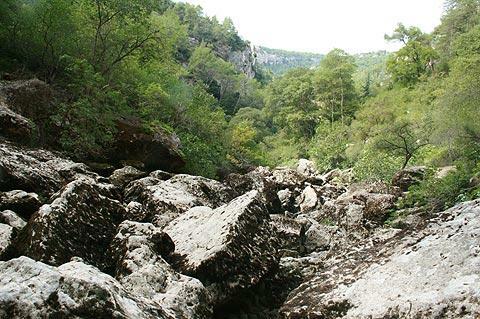 The source is a few hundred metres up the river valley from the village, in a lovely setting with high cliffs towering over the valley, and the river a remarkable green colour as it flows across the rocks and below the trees: I should emphasise, this is a very beautiful stroll and not to be missed when you visit the village! The path to the source starts on the northern edge of the Place de la Colonne, and is called the Chemin de la Fontaine. 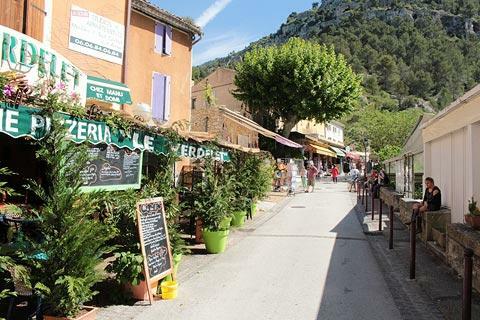 Along the first part of the walk there are lots of cafes, stalls selling ice-cream and gifts, and it is a bit over-developed, but not surprising for a small village that has so many visitors! After a while the path becomes more tranquil as it follows along the riverside. The river starts in a tranquil pool, that gives rise from its depths to an enormous amount of water (an average of 22 cubic metres each second but almost 10 times that amount at its peak) that soon goes crashing off down some rapids...but that is only in early spring, and for the vast majority of visitors the pool is rather calm and dry. 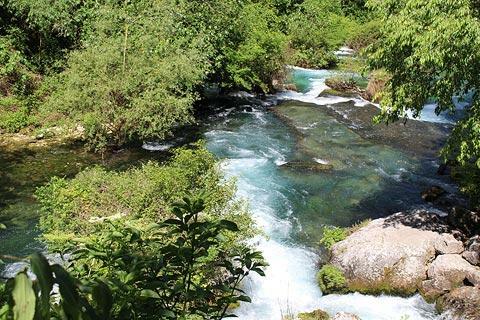 No matter, the walk to the source is still recommended whatever time of year you visit and the river valley below the source remains green and verdant, getting water from other small streams that keep it flowing all year around. 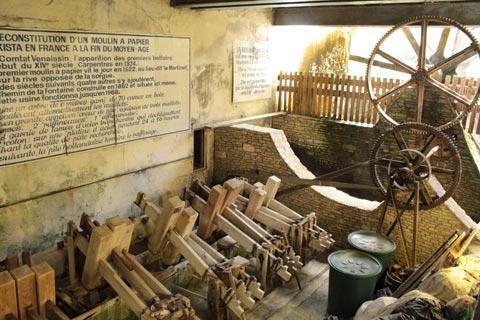 There are several other museums in Fontaine-de-Vaucluse, including an Ecomuseum and a History Museum about the years from 1939-1945. 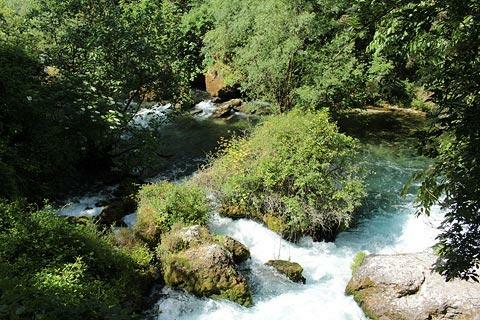 Just outside the centre of the village you can rent a canoe to follow the Sorgue downstream. 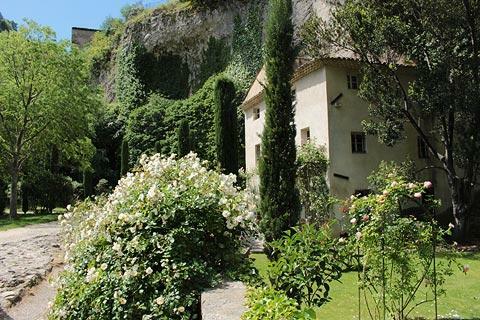 Most visitors to the region will want to explore some of the popular villages, several of which are classified among the most beautiful villages in France, such as Gordes, Menerbes and Roussillon. 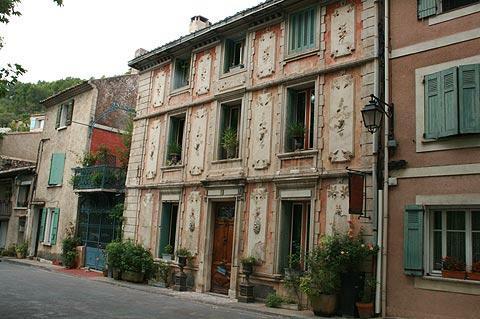 See these and other local highlights at places to visit in Luberon. 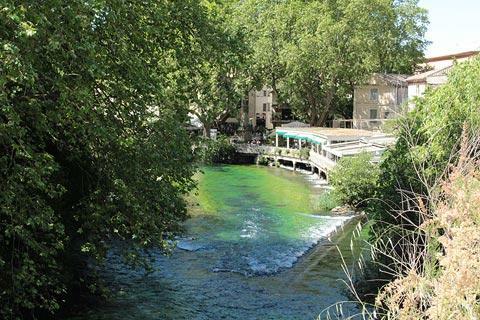 It is also interesting to visit L'Isle-sur-la-Sorgue, a small town about 10 kilometres west of Fontaine-de-Vaucluse, to see how quickly the Sorgue becomes an important river: L'Isle-sur-la-Sorgue is surrounded by the river and has lots of water mills along the sides of the river.